Design ideas are all around. For me, sometimes it’s a fabric, a piece of art, paint swatches…anything really. Sometimes, as a starting point, I’ll take a client to stores that offer furniture & accessories displayed “vignette” style, where items are grouped together as they might appear in the home. 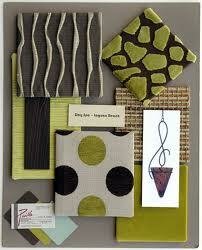 It helps me understand which rooms my clients are drawn to so we can reinvent a version of it for their homes. Crate & Barrel pioneered showing furniture in vignettes, and it really shows how to pull things together… great color combinations, and the importance of art & accessories. Restoration Hardware, IKEA, Z Gallerie, CB 2, Pottery Barn, and West Elm are some other national chains that offer this. These stores have a wide range of styles and can be found in most metropolitan areas. It’s worth subscribing to the catalogs if you don’t have them in your city. 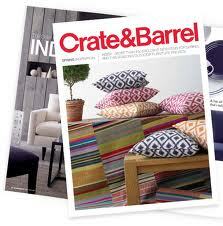 Another good source for inspiration are interior design magazines. I really like House & Home (Canadian publication), Metropolitan home, Elle Decor, and House Beautiful.